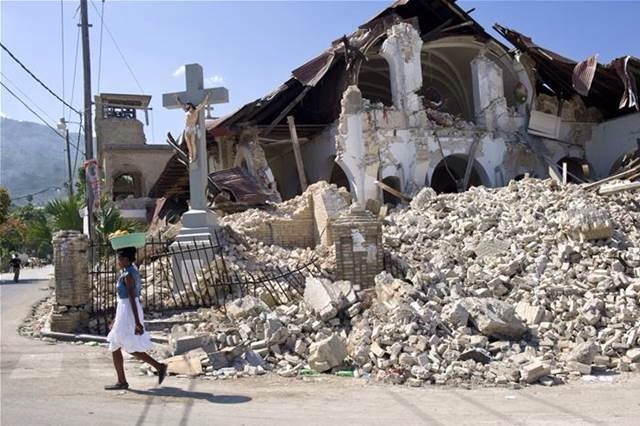 On this fifth anniversary of the earthquake in Haiti I believe God is giving me a new perspective. Every year on this day since the earthquake I have looked back at the pictures of the devastation and, in my heart, focused on all that was lost and all that fell on that day. This morning I believe God is changing my attitude. I will no longer focus on all that fell but I intend to focus my attention and resources on the things that stayed standing. Never before in my life have I been so encouraged and challenged than by my Haitian friends whose faith never faltered during this tragedy. We have a saying in Haiti: “Bondye konnen”… God knows. Countless times my Haitian brothers and sisters have said that to me on the days when I become overwhelmed with the needs of Haiti. THEY have always pointed ME back to God when they see me begin to fall into doubt and fear. I have watched with a “holy envy” the steadfast faith of these remarkable people to whom “give us this day our daily bread” is a reality for many. And it is on that faith that we will build now. Not the tragedy, but the truth that what we are building is the kingdom that will endure forever. I don’t know about you, but “Bondye konnen” I needed that today!